The notorious Crosstown Rebels festival Get Lost Miami just released their anticipating line up for the upcoming event. The line up features many legendary artists such as Diplo, The Desert Hearts Crew, MK, Claude VonStroke, and Gorgon City. 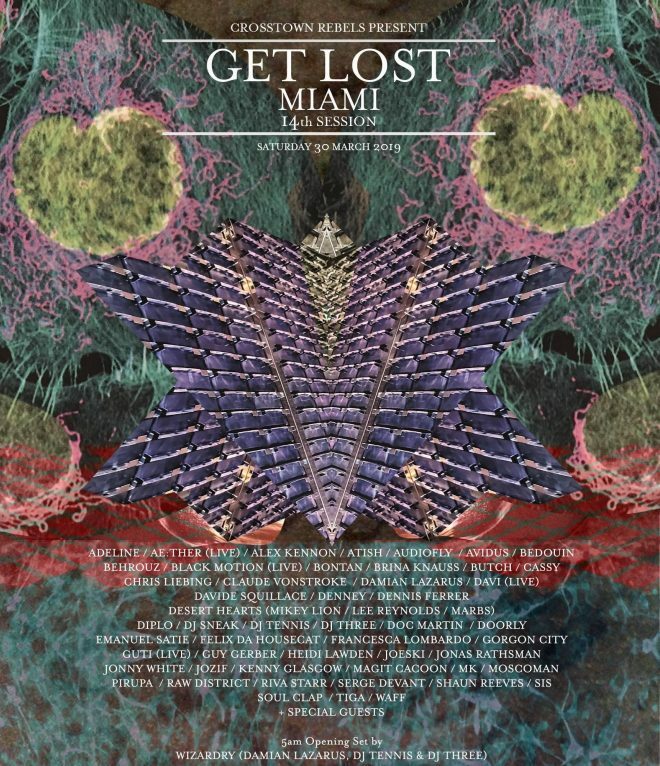 Get Lost Miami will have multiple dance floors to keep the party going as well as exquisite immersive art installations. The event is also set to have fascinating performers and secret spots to explore. The location of the event is still TBH, but the festival is bound to be a powerful and beautiful experience where ever they find their new home. The 24-hour dance party will be kicked off early with acts such as DJ Tennis, DJ Three, and Damian Lazarus for a 5 am opening ceremony set. The groovy event is set to be hosted on March 30. If you haven’t already, be sure to purchase tickets here.